Reason #1: Remember Scott’s one foster at a time rule? Well . . . we still have the one-foster-who-never-found-a-home: Morven, or Marvolo Riddle, as Scott likes to call him. Both are, admittedly, two truly horrible names: Morven, as in the town of Morven, NC (which my foster-in-crime and I noticed on a road sign the day we got him) and Marvolo, as in He-Who-Must-Not-Be-Named. ^Here^ he is in typical Morven-Marvolo form — dirty, stinky, and tangled (despite our best efforts) after having robbed a frozen chicken egg from our hen house, which he was trying to eat atop our hot tub, when we busted him. We’re *shocked* he hasn’t been adopted. Reason #2: Remember Scott’s one foster at a time rule? Well . . . we still have the one-foster-who-came-back: Quinby, or Q the cyborg wiener dog. 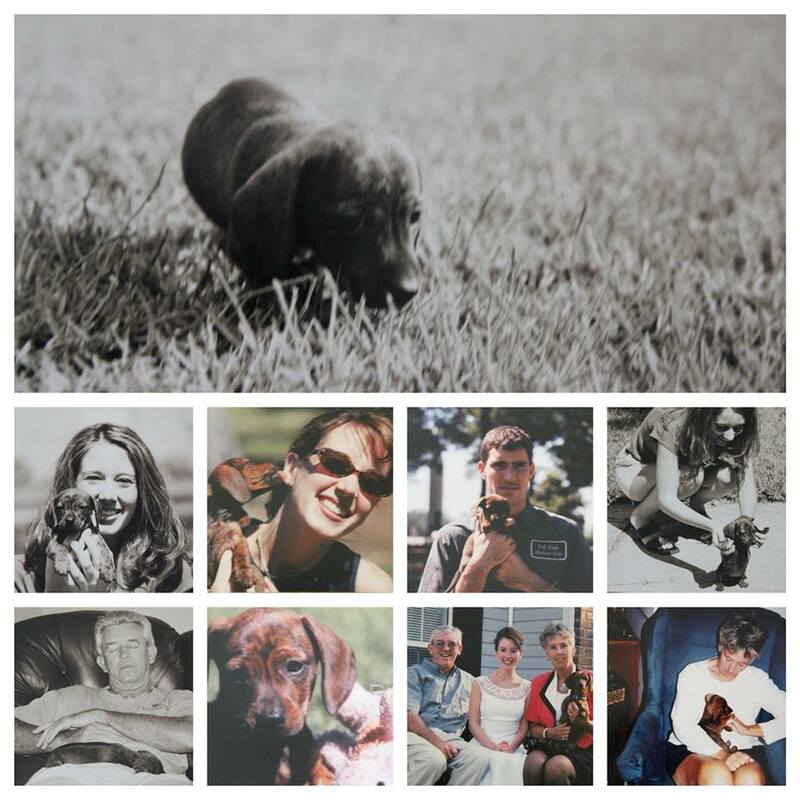 Q-fans will remember that she was being fostered by a Dachshund Rescue of North America representative; but, unfortunately, Karen became arthritic and unable to care for her, and the organization was unable to find someone else to step up. Um, what? Clearly, Q’s worth was being underestimated, so we picked her up, built her an outside pen with heated dog house (b/c, um, I just. can’t. do. the. doggie. diaper. thing / sorry Q), and oiled up her wheelchair. So, she spends her days wheeling around the backyard, chasing squirrels, and generally being a badass. One day, she was annoyed that we didn’t let her out before leaving on an all day mini-break (to our credit, it *looked* like rain), so we returned to find that she had fashioned the metal wire around her pen into a Q-sized hole and escaped. She was having trouble getting back in, though, to her food&water — so we arrived to find her eating dirt, with a newly killed possum by her side. Consummate survivor that she is, she had dirt and possum’s blood for dinner that night. Luckily, she is kinder to our chickens than the possums. 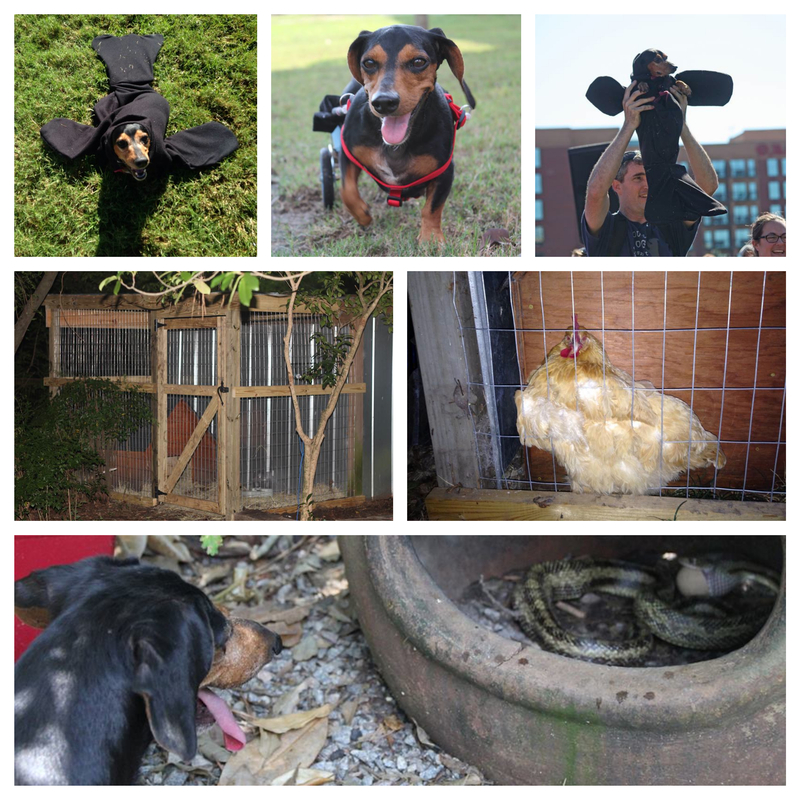 She barks to let us know whenever a snake is sneaking an egg, or whenever a chicken has gotten herself stuck behind the doghouse (which happens more often than you might think). And, in her spare time, she dresses up as a seal and wins Halloween costume contests for wiener dogs. Reason #3: We have chickens, who get into scraps now and then. AND a cat. Meet CiCi, who is the first Fisk family rescue kitty — b/c I lost a friend unexpectedly and knew that she’d want me to take care of her cat (no animal shelter for friends’ pets, thank you very much). 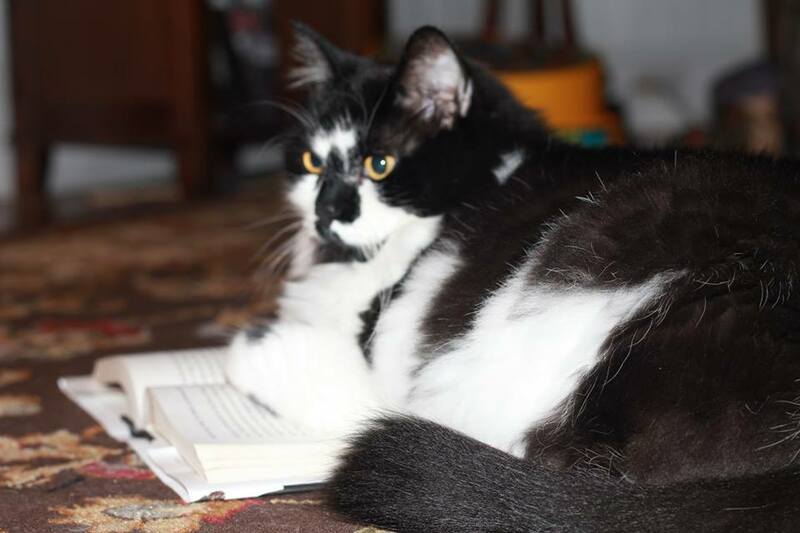 Plus, she likes books, which is a win. So, ^those^ are the three reasons I haven’t updated this blog in a long, long time. Here are the three reasons I’m back! Anyway, Mom and Dad have adopted my philosophy of productive grieving. While you can never replace the one lost, rescuing a dog in need forces you to focus that grief/love for one into care/love for another. (Crazy enough, when my grandfather was diagnosed with terminal cancer, I made the decision to adopt an orphan, using the same line of reasoning. Enter our Arina). Again, not a replacement, but a new recipient of the love. 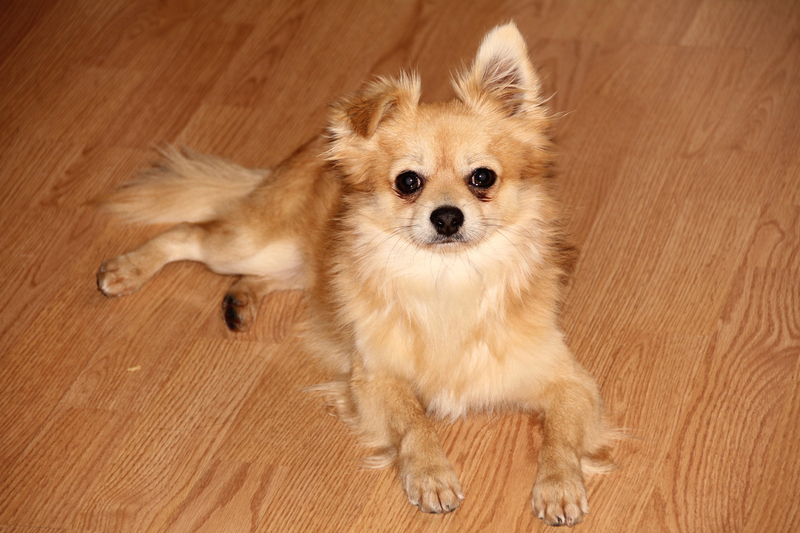 Meet rescue dog #64, Jasper: a three-year-old Pom mix from the City of Columbia animal shelter. 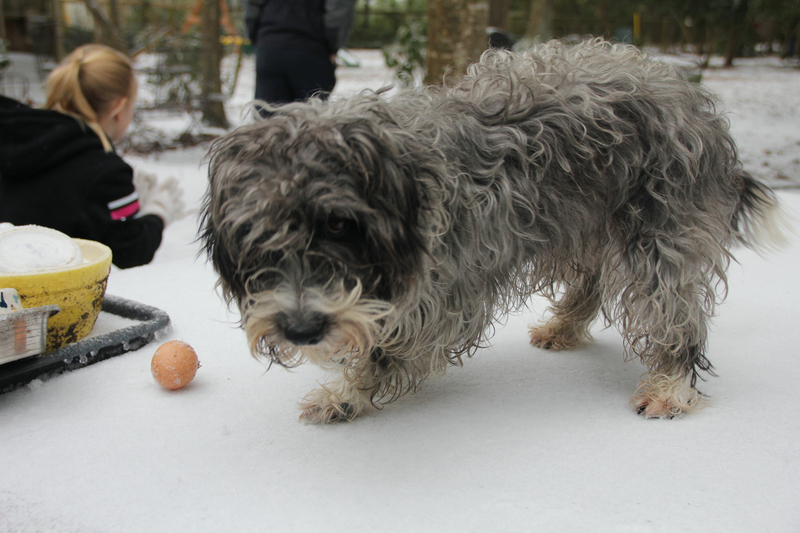 My friends at the shelter told me that Jasper (named after my great-grandfather) was running around as a stray with a couple of other fancy dog breeds — all unaltered, which makes me think puppy mill breakout. He’s a friendly, scrappy little guy — quick to roll on his back for belly rubs (the friendly part) but able to come out top dog in a wrestling match with his new brother, Joe (the scrappy part). Also, he’s a consummate survivor like Quinby. He hasn’t resorted to drinking possum blood and eating dirt yet, but he *does* hide a bite or two of food from every meal. Mom has been finding bits of Kibble everywhere . . . under a dining room chair, under her bed, and even under the Christmas tree. Clearly, Jasper has been hungry before and doesn’t plan to be so again. I imagine that after a few more weeks in McBee, and a few more visits to my grandmother’s house, he’ll be cured of *that* anxiety — because MaMa Shirley is quick to give ANY dog extra treats but ESPECIALLY her late father’s namesake. Reason #2: My parents *met* me at the animal shelter instead of letting me do what I do best. I told Mom and Dad that I’d pull a rescue dog for them when they were ready. Then, at the last minute, they decided to meet me at the shelter, and they asked me to pull two dogs that they then decided between. To be fair, this is probably the way most people do it . . . the responsible, thoughtful, logical way to go about adopting the right dog (that’s the right fit for your particular family) from a shelter. But this is how I do it: I walk in, hone in on one dog, and only interact with that one dog. It’s an absolute go-with-my-gut feeling, but that’s the only way I can bear it. Before I leave, I pet the other dogs, pass out dog biscuits to all, but I only take one dog out of its cage. I never ever put a dog back in its cage, and I just couldn’t shake the awful feeling of having done so. Mom, Dad, and I pulled Jasper on a Saturday. I was back at the shelter the following Monday morning for the one left behind. 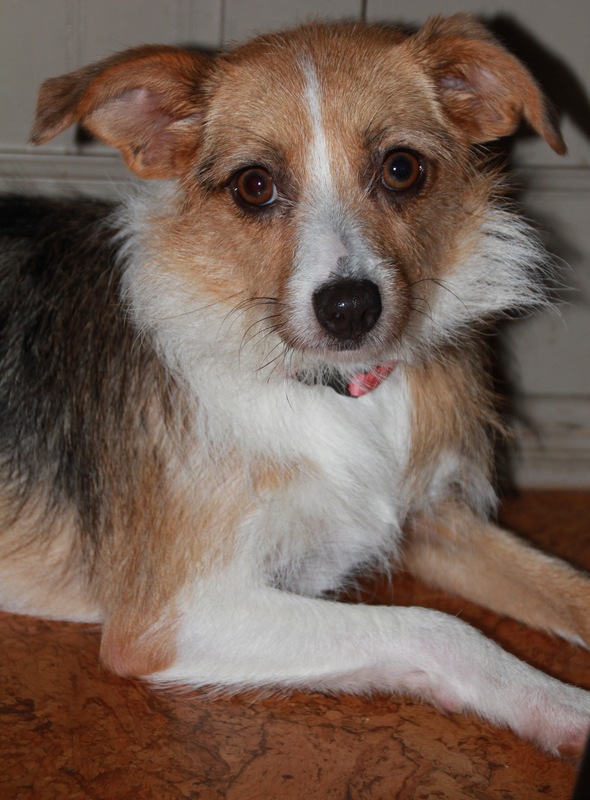 Meet rescue dog #65, Annie Cresta: a 1-year old terrier mix from the City of Columbia animal shelter. Annie, originally named Jazzy, was owner-surrendered. Apparently, the woman who surrendered her had just given birth, and she no longer wanted a dog in the house. 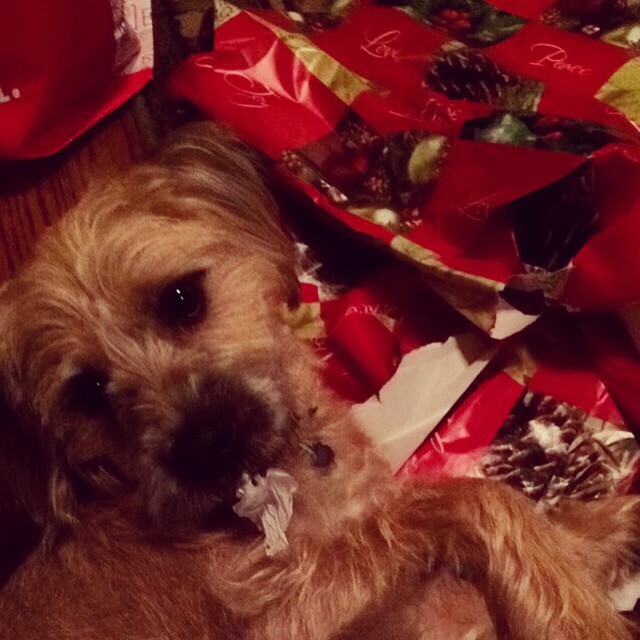 She confessed that Jazzy was a gift from her sister, and that she had never really wanted a dog in the first place. Since the person who never really wanted you shouldn’t have the right to name you, I’ve renamed her Annie Cresta in honor of my Hunger Games themed 101 class. My students think this is the perfect character-name for this particular foster, because she is sort of “bedraggled” and unlovely but is certainly capable of transformation when in the right person’s care. I’m convinced that she knew I had come back for. her. when I showed up that Monday. I opened her kennel door, said, “let’s go,” and she followed me sans leash and sat patiently at my feet while I checked out. Even Scott admits that we’ve never had such a well behaved dog, foster or otherwise. 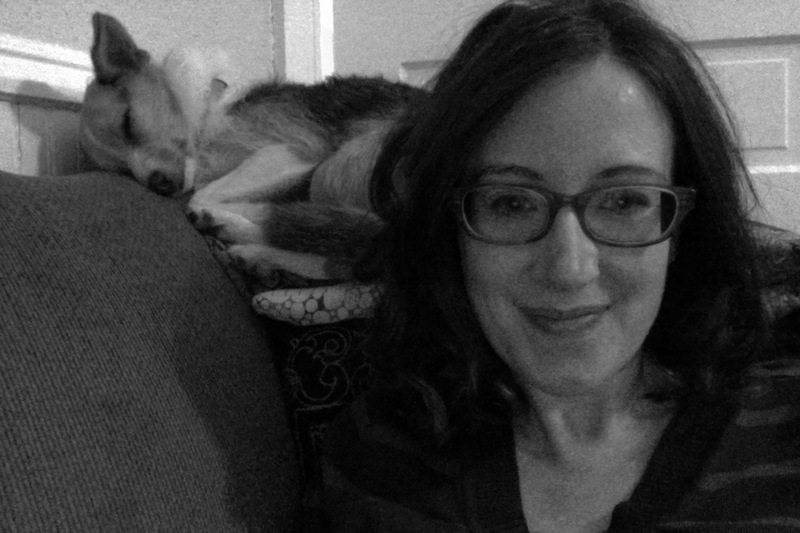 He insists that she must have some collie in her or something, because she waits for commands (come, sit, stay, etc.) and obeys them immediately. My kids should take lessons from her. The only trouble she’s caused: she chased one of our chickens and pulled a few tail feathers. Scott caught her in the act, though, and scolded accordingly. Annie hid under the bed, and, for the rest of the day, our other dogs treated her like the ostracized kid who badly misbehaved on the playground — which she kinda was. We haven’t had any problems since (knock on wood), although for the sake of our chickens’ mental health, we’ve started alternating their recess time and Annie’s. Still, I’ve decided I want to keep her . . . mum’s the word, b/c Scott says I have to find a home for Morven if I want to keep Annie . . . but I think it’s sensible for each Fisk to have a dog: Annie for me; Morven for Jack; Knightley for Scott; Emma for Arina; Quinby for the chickens! Perfection! Also, they’re all half-sized dogs, which = only 2.5 full-sized dogs. And 2.5 dogs per family is *totally* normal. I win for best graduate presentation ever. 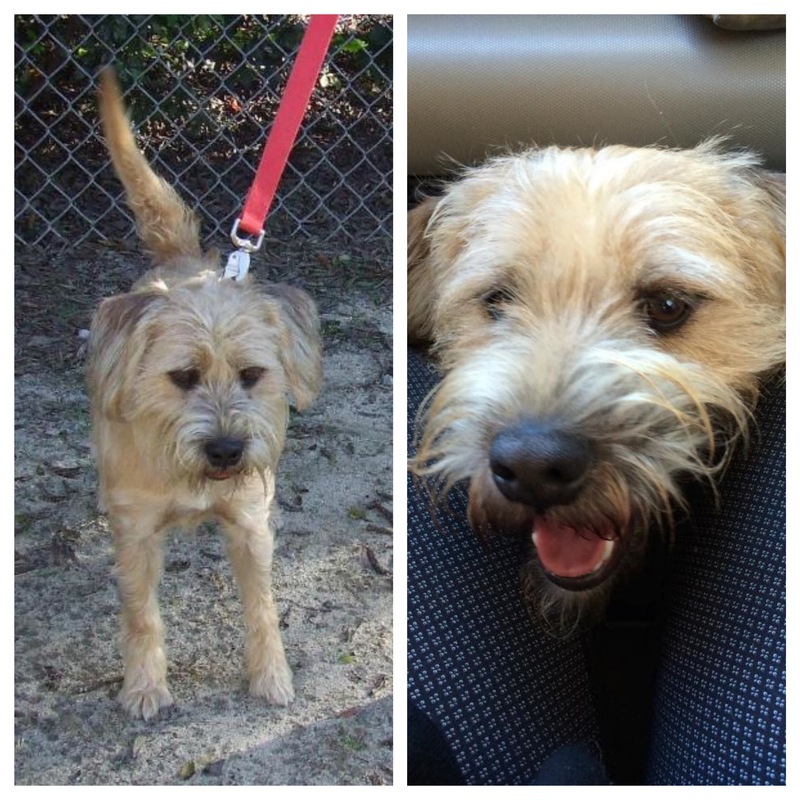 Chester, originally named Bro, was another owner-surrendered dog. To say that he was a handful for us at the shelter is an understatement. He fought his leash, jumped all over us, and gnawed our hands. But within 10 minutes of working with him, he was sitting on command and looking longingly after Lauren if she left his sight for a second. Lauren decided to rename him Chester, in memory of the Chesterfield County shelter dogs that were shot in 2011. And I approved, of course, since that horrific event marked the beginning of my adventures-in-fostering. We lost 22 dogs that day but long live all the Chesters, their namesakes! May everyone have the opportunity to adopt a shelter dog at some point in their life, if only to see the transformation from sad pup at the shelter to happy pup on the car ride home.